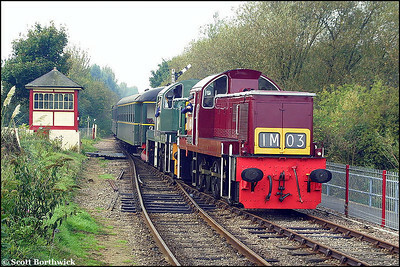 D9523+D9516 arrive at Orton Mere whilst working the 1020 Wansford-Peterborough Town service on 13/10/2001. 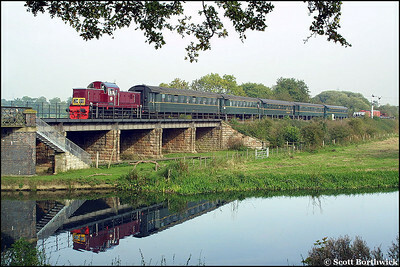 D9523 crosses the River Nene as it approaches Wansford on 13/10/2001 with the 1330 Peterborough Town-Wansford service. 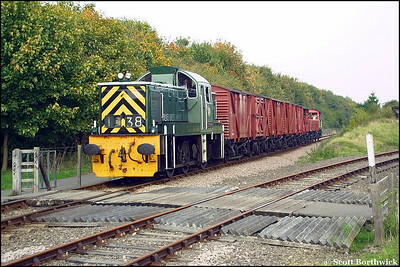 D9516 approaches Orton Mere at Longueville Jnct on 13/10/2001 with the 1430 Peterborough Town-Orton Mere mixed freight. 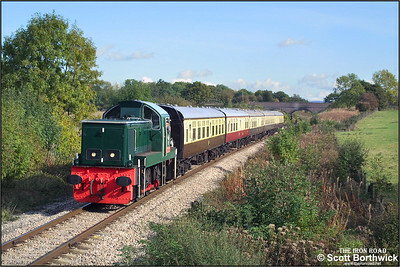 D9539 approaches Gotherington as it exits Dixton Cutting with the 1300 Toddington-Gotherington service on 19/10/2002.